Oka 10 years of age kids mentality ela untadi apart from studies cartoons chudadam, chess, carroms, lanti indoor games adadam, le potey inti pakkana vallatho kalisi streets lo cricket, seven stones oo adadam lantivi chestuntaru. And inka ee madya mana intlo and doorside unna kids kuda PUBG, Blue Whale, Candy Crush lanti games ni simple ga adesthu kanipistunnaru. Childrens ki studies ea kadu variki nacchina things cheyaniste varu happy ga undadame kadu edo oka roju ade things lo varu professionals avtharu. Ala avtharu andaniki ee kinda wonder kids stories ea pedda example. Antha la emchesaru ee kids ante 10 years age lo Google job reject chesina oka ammayi, 6 years age lo tabala master ga guinness record create chesina inko pillodu ila wonder kids and aa varu chesina wonder things chusaka meere antaru villu pillalu kadu pidugulu ani. 1. 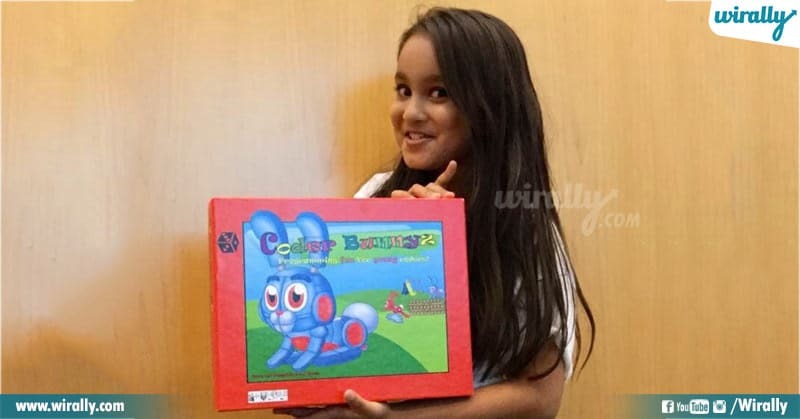 Samira Mehta – 10 Year Girl Set Up Her Own Company Called Coder Bunnyz. Samira Mehta ee girl name last couple of days nundi chala viral avtundi. Vishayam enti ante ee girl ki gaming and skill programming mida manchi command undi. Intel lo engineer ga work chestunna support tho ‘Coder Bunnyz’ ane coder game create chesindi. And recent ga Google ee girl ki job kuda offer chesindi. however ee ammayi aa offer reject chesindi lendi. 2. Rajgauri Pawar A 12 year kid IQ level is equal to Einstein and Stephen Hawking. Rajgauri Pawar, England lo family tho unde ee Indian originated 12 years cute girl akkade conduct chesina oka IQ test lo participate chesindi. 20,000+ people tho participate chesina British Mensa IQ test lo ee kid 20K people ni venakki netti 162 points IQ unna wonderkid ga record create chesindi. Ikkada inko wonder enti ante ee ammayi IQ score surpasses the geniuses like Albert Einstein and Stephen Hawking. 3. 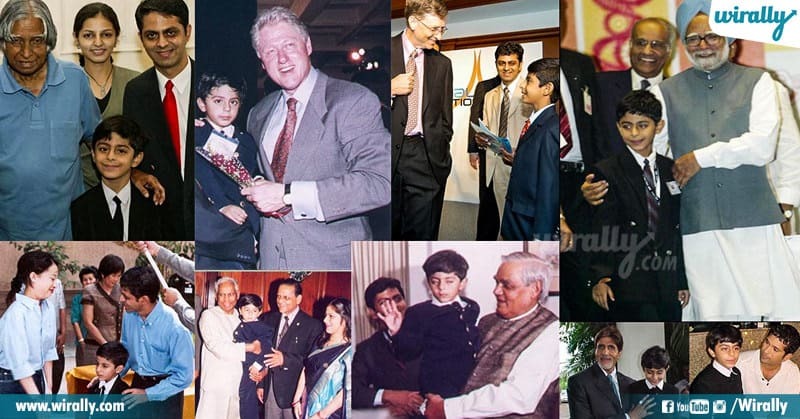 Ajay Puri who is a youngest web designers in the world at the tender age of 4. 4 years of age lo computer spelling ea sariga radu alantidi Web Designer ela ante ee abbayi prove chesadu mari. Of course ee abbayi ippudu perigi peddodu aiyyi 17 years anukondi and ithanu world lo influential people like Bill Gates and Bill Clinton vallatho kuda kalisadu. 4. 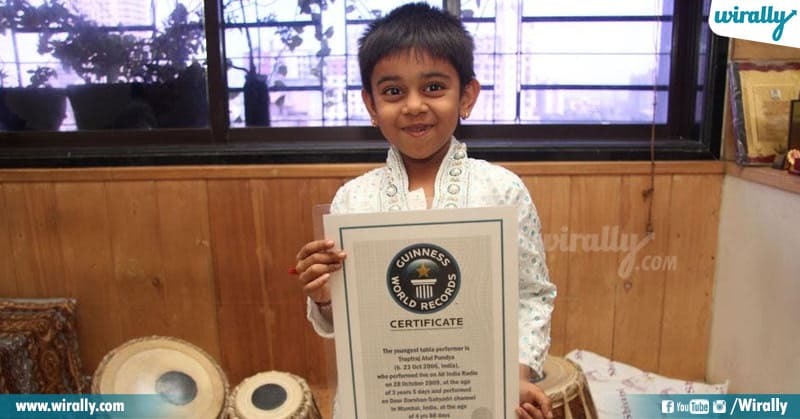 Truptraj Pandya who holds Guinness record at the age of 6. 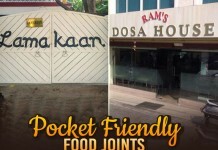 Tabla ante manam ventane restaurant kada ambience baguntadi and food kuda ani cheptam. Kani ee 6 years old kid matram tabla ante passion antadu tabla kottadam lo professional kuda anduke Guinness records youngest tabla player ga record create chesadu. 5. Aman Rehman 15 years boy is youngest computer animator in the world. 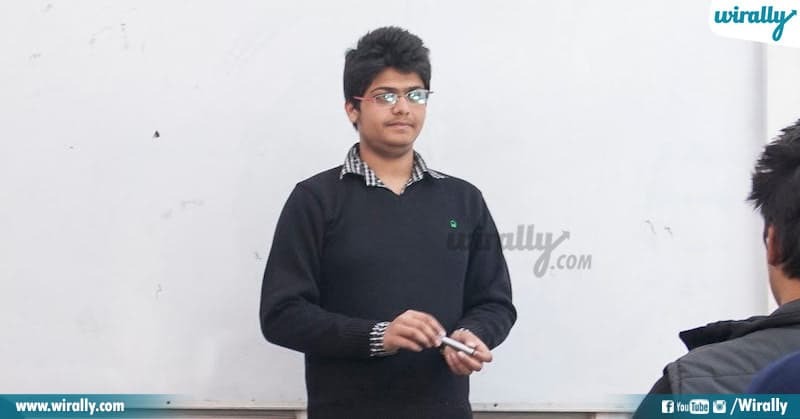 Dehradun lo unde Aman completed a 15-month animation course in less than three months. And ippudu ithanu animation films cheyadam lo specialist kuda so far ithanu alost 1000 films ki animation kuda chesadu. 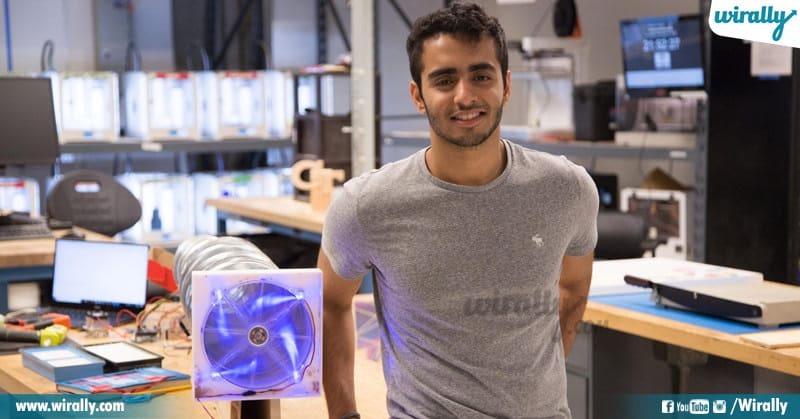 He holds record as a youngest computer animator in the world. 6. 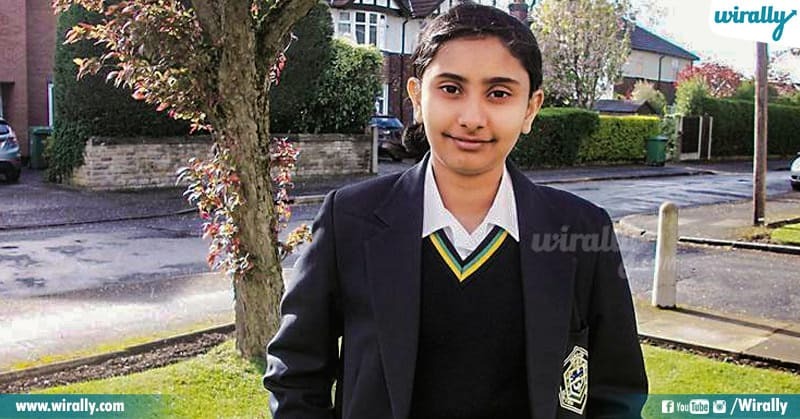 Priyanshi Somani won world cup with her impeccable mental calculation skill. 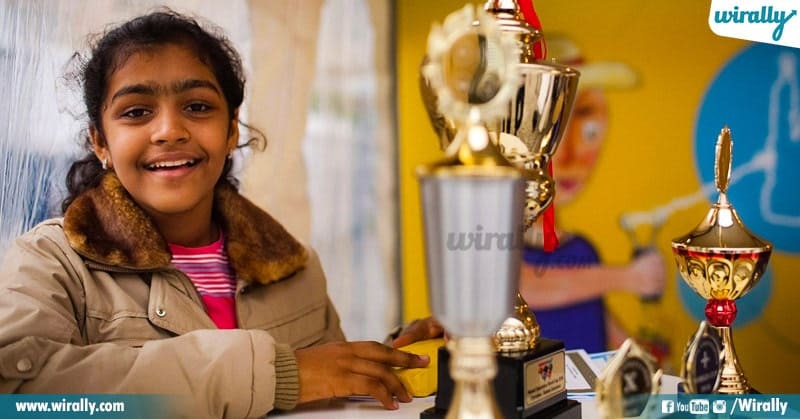 Priyanshi Somani 11 year girl from Gujarat participated in Mental Calculation World Cup tournament. With her impeccable skills in mental calculations she won title in 2010. 7. Kautilya Pandit who commonly called as Google Boy”and “Mini Encyclopaedia”. Kautilya Pandit ithani videos chala viral ayyayi, world lo ea topic mida ea question anna adgandi he’ll answer. Adgani question ledu atanu cheppani answer ledu, ela cheptunadu abba ane doubt vacchi professors kondaru tests kuda chesaru and his IQ is somewhere 130 anta. 8. 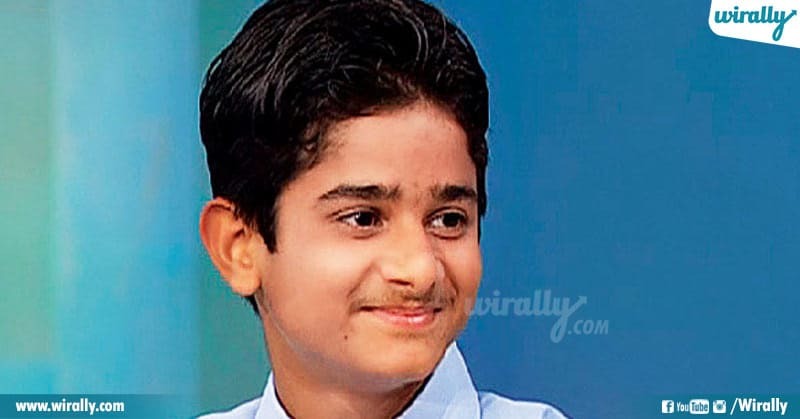 Akrit Jaswal boy who performed surgery at the age of 7. Akrit Jaswal itani IQ levels ento telusa 146 andi, anduke emo 7 years age lo fingers burn aina oka ammaiki surgery kuda chesadu. Ante na ante kadu cancer ni cure cheyadam tana aim antadu ee abbayi famous ‘The Oprah Winfrey Show’ ki interview kuda ichadu. 9. Angad Daryani high school dropout is a CEO of company. 15 years of age lo high school studies vadilesi own ga Shark Industries ani oka company pettadu ee abbayi. Ee company dwara India lo for the first time 3-Dimensional printer ni market loki release chesadu. Antha kanna mundu eight years of age lo ekanga oka Robot ne create chesadu. 10. Pravin Kumar Gorakavi, developed an artificial leg at the age of 15 yrs. Evaraina handicapped people ni chuste manam ayyo papam anukuntam kani thanu matram vari kosam ediana cheddam anna intension tho ekanga oka artificial leg create chesadu with the ability of ankle and knee movements at the age of 15 years. Anthe kadu 20,000 years calendar, Braille script for the blind people kuda create chesadu. Ippudu villani pillalu kadu pidugulu ani anoccho ledo miku ea vadilestunam.